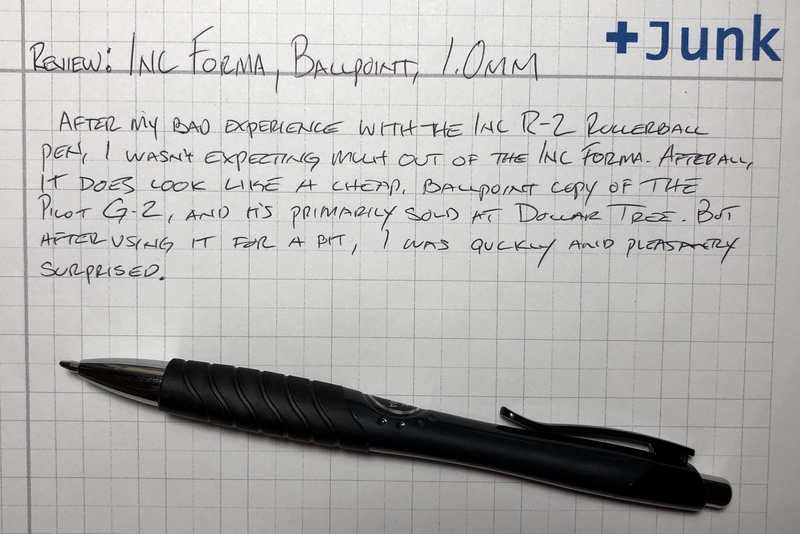 After my bad experience with the Inc R-2 rollerball pen, I wasn’t expecting much from the Inc Forma. After all, it does look like a cheap, ballpoint version of the Pilot G-2, and it’s primarily sold at The Dollar Tree. But after using it for bit, I was quickly and pleasantly surprised. At $1 for a 3-pack, you’re definitely not getting a premium experience with the Forma. The pen is entirely made of plastic, the clip feels very flimsy, and the rubber grip is best described as “soft-ish.” But putting pen to paper, the ballpoint ink in this pen is surprisingly smooth. It doesn’t require much pressure to use, making it a decent writing experience. On the negative side, the ink isn’t particularly dark, and there’s a small issue with blobbing and smearing. But, really, I don’t have any criticisms that are harsh given that it’s such an inexpensive pen. I’d prefer it over a cheaper BIC ballpoint any day. Of course, I’d never suggest that anyone go out of their way to buy a pack. The Forma is not, by any means, a great pen. But if you happen to be in need of some cheap ballpoints while at a dollar store, then this is a fine choice. On Wednesday, February 14, 2018 (i.e. 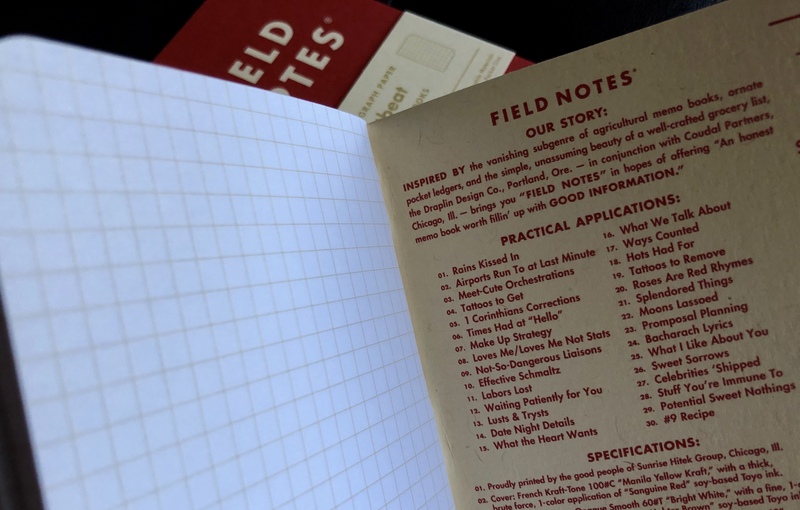 Valentines Day), Field Notes announced the Heartbeat Edition. A combination of the Wednesday and the Red Blooded editions, the Heartbeat notebooks were not for sale. Instead, 2-packs were included as a free bonus to any order placed on that one specific day. The Heartbeat Edition is what I’ll call a “re-skinned” edition. The innards are identical to what you’ll currently find in a standard Kraft Field Notes notebook: a light brown graph grid on 60# white paper in the standard pocket-sized (3.5” x 5.5”) dimensions. The cover, however, is different. The outside is a deep (“Sanguine”) red with tan (“Manila Yellow Kraft”) lettering, and that color scheme is reversed on the inside. There’s nothing spectacularly new to see, but what makes the Heartbeat Edition special is the heart replacing the letter “O” in the Field Notes logo. So don’t fret about the $40+ people are charging for this edition on secondary markets like eBay. While it’s true that Valentines Day doesn’t fall on a Wednesday again until 2024, I’m sure the company will run a similar promotion sooner than that. Apparently some people got Heartbeat pencils! I, sadly, did not. No edition size is listed. So we’ll never know how many Heartbeats are out there. I keep accidentally calling this the “Heartbreak Edition.” Maybe that’ll be the next one! If you’ve heard of the company Skilcraft, it’s probably for two reasons. First, it’s the manufacturer of the U.S. Government Pen, a low-cost, professional-looking ballpoint that also happens to be very reliable. And second, it’s held in high regard by the National Industries for the Blind for employing scores of blind workers in their manufacturing facilities. Skilcraft is a good company, and so I was interested in trying another of the their well-known pens, the stealthy-looking B3 Aviator multi-pen. As the pen’s name makes obvious, the B3 Aviator is marketed towards pilots. It meets the FAA’s “FOD” requirements, and it has a matte black finish to prevent glare. The multi-pen has three components: a 1.0mm black ballpoint, a 1.0mm red ballpoint, and a 0.5mm mechanical pencil. 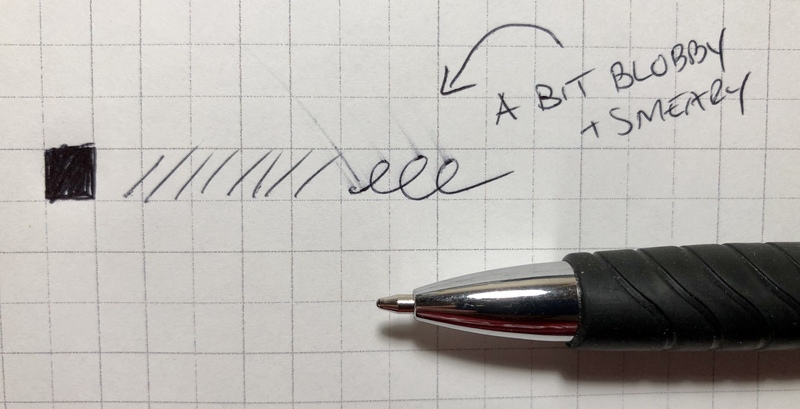 The midpoint of the barrel twists in either direction to eject and retract the three tips in turn, and the end-cap also screws off to reveal an eraser. Oddly, the design and function of the B3 Aviator is pretty much identical to the Zebra Surari Sharbo 1000. So, it probably goes without saying that the problems I had with the Sharbo are the same problems I have with the Aviator. 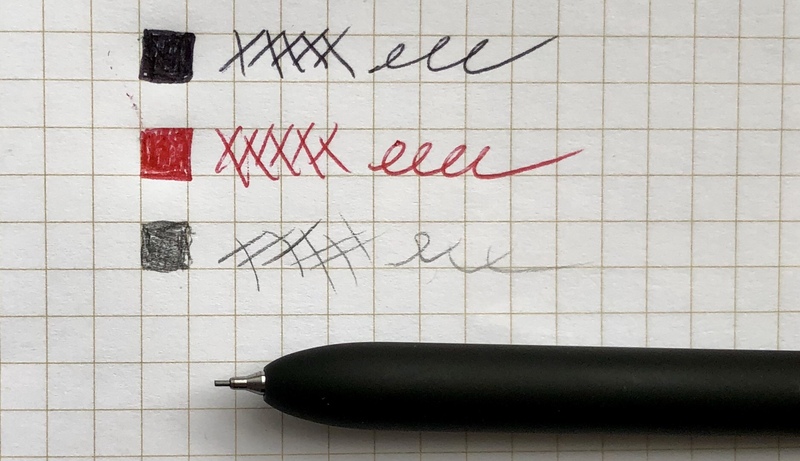 In particular, there’s no indication on the barrel for which tip is selected (you have to closely examine the tip to know if you’re about to write with black ink/red ink/pencil), and the cap that covers the eraser is a small piece that’s begging to be lost. For some reason, I also had some trouble getting the Aviator’s pencil lead to eject without breaking. But, unlike the Sharbo, the Aviator feels a lot more substantial and durable – for about $18, you don’t feel like you’re getting ripped off. But that’s all that this pen really has going for it. The refills are fine, and it generally works okay. However, I still wouldn’t recommend this multi-pen – the design just isn’t very good. 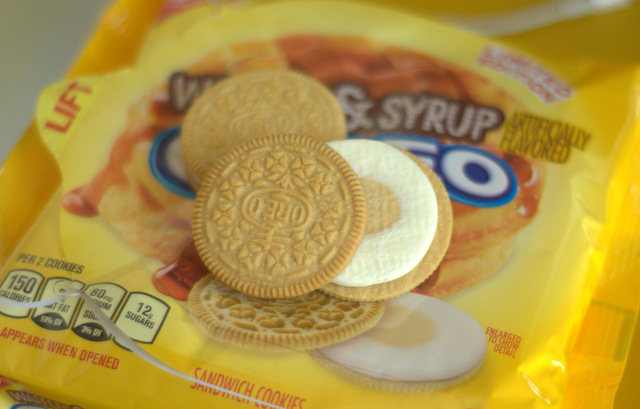 Since 1912, when the Oreo was first introduced, Nabisco had been content with their cookie’s traditional flavor: a vanilla frosting sandwiched between two chocolate wafers. Of course, the company fiddled with the recipe over the years. 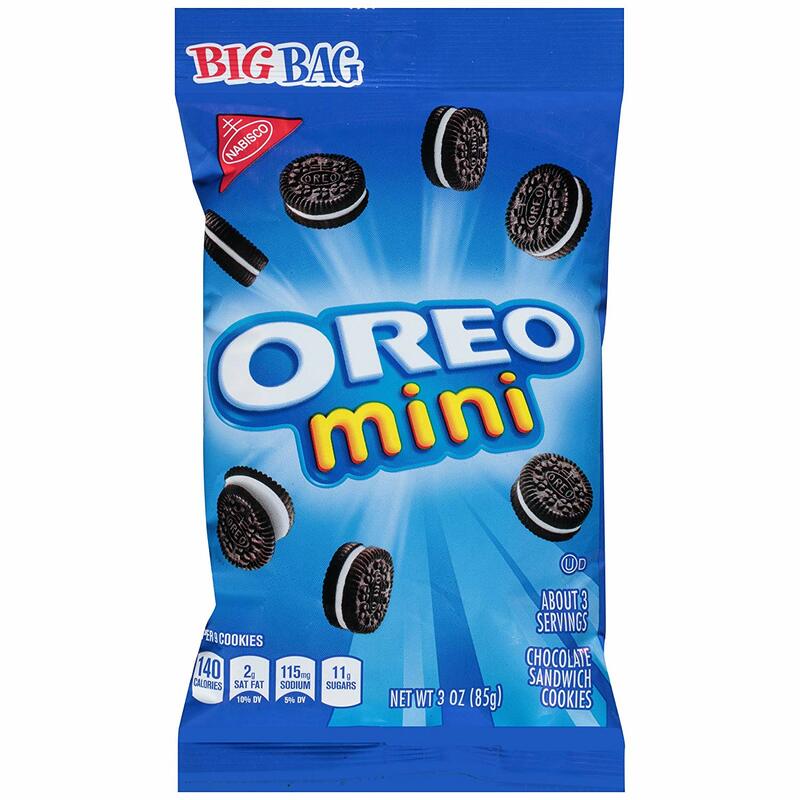 Ingredients like trans fats and lard were removed or replaced, the filling was occasionally dyed into fun colors, and the cookies were both shrunken and enlarged to create different product lines. Nabisco even sporadically produced new flavor varieties like lemon, mint, and peanut butter. But that was nothing compared to the flavor explosion that occurred in the 2010s, right around the time Mondelez took over as the brand’s parent company. 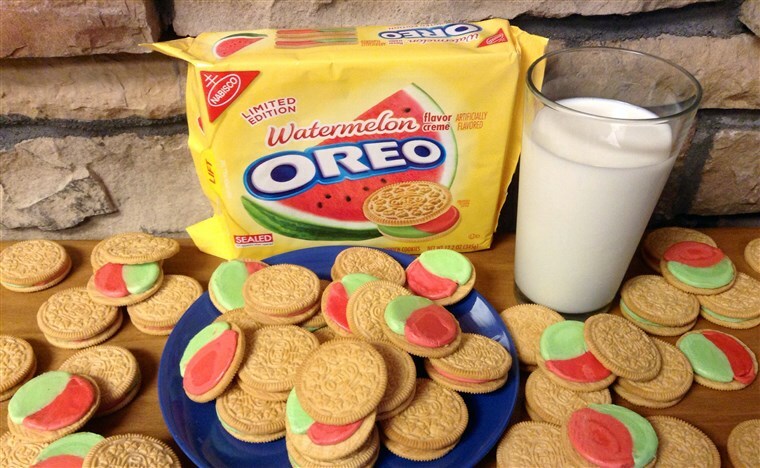 At some point, the shackles were loosened on the Oreo R&D department, and the whole brand went berserk. The Oreo is the most popular cookie in the world with billions in sales every year, making three times more money than it’s nearest competitor. It seems risky for a big company to mess around with such a successful formula. So why do it? Get some media attention. 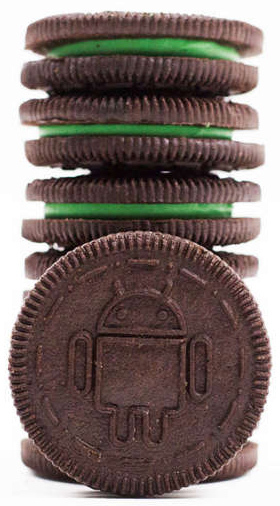 Oreo is an old cookie, but some of these new flavors can get some buzz. When they release particularly odd flavors (like Watermelon or Kettle Corn), they seem to get a lot of it. Capitalize on seasonal trends. Apparently, pumpkin spice products do hundreds of millions of dollars in sales each year, so it’s not surprising that Oreo jumped on that bandwagon. But that’s not all, they release new Oreo flavors to coincide with many holidays: Peppermint Bark for Christmas, Peeps during Easter, Hot & Spicy Cinnamon around Valentine’s Day, etc. Market test new ideas. I suspect that the tamer flavors, like coconut or dark chocolate, are really just broad market tests. Ditto for brand mash-ups like Reese’s Peanut Butter Cup and Dunkin’ Donuts Mocha Oreos. Mondelez is probably fishing for a new hit flavor, hoping to create the next Doritos Locos Taco. But whatever the case, this “new flavor” strategy must be working because they don’t seem to be slowing down. 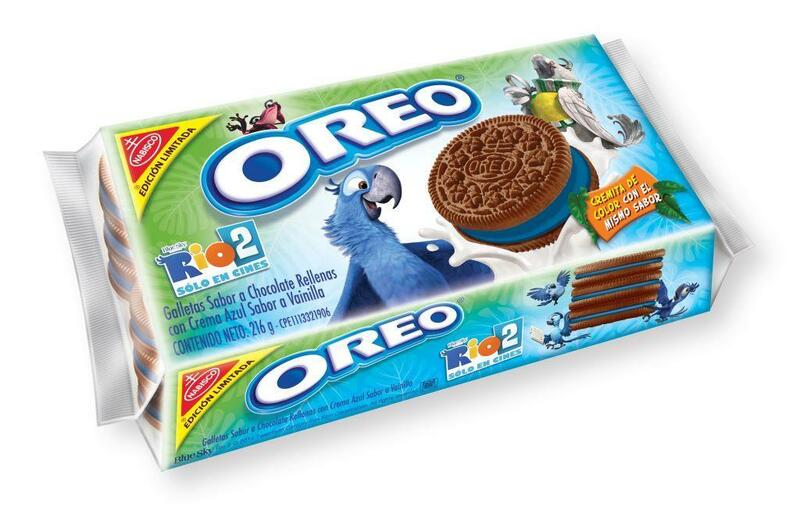 For myself, I can say that I’ll grab a new flavor of Oreo every time I see one, and I probably wouldn’t buy Oreos otherwise. I can’t explain why I like trying these new Oreo flavors. 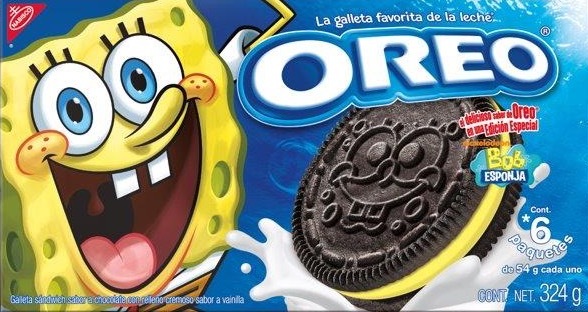 They’re rarely as good as the original cookie, and sometimes they are far worse (I’m looking at you Swedish Fish Oreo) But it’s still a lot of fun to try them all. For the last few years, I’ve even been documenting these new flavors on Twitter (and I’ve compiled them into a list here). I’ve tried dozens of them already, and I’m still interested to see what comes next. Eventually, these flavors will start to get predictable and boring. 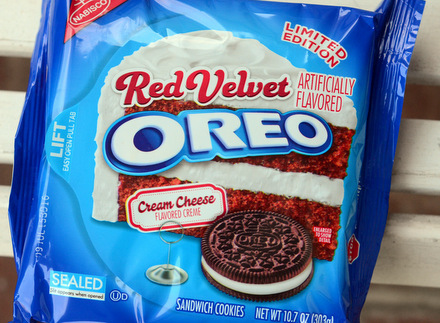 Oreo’s flavor obsession will die, as will my interest to try them. 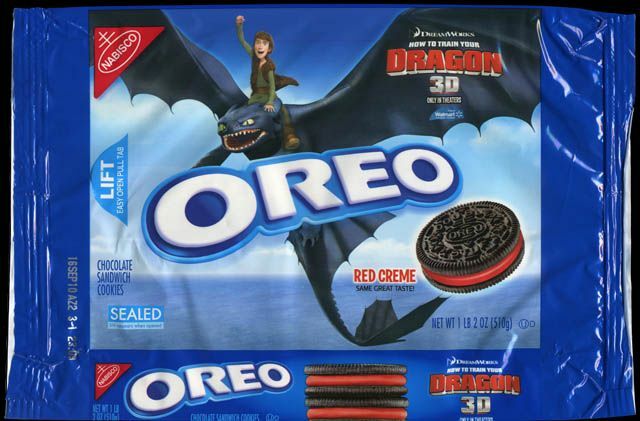 But, for the time being, the Oreo R&D department still seems able to come up with weird and creative ideas. So, even though I probably don’t need the extra calories, I hope Oreo keeps it up. When the Dead Prints Edition Field Notes were released in 2015, they were an immediate hit. They were so popular and so sought-after that there was bound to be a follow-up edition, and that’s exactly what happened in February 2018. 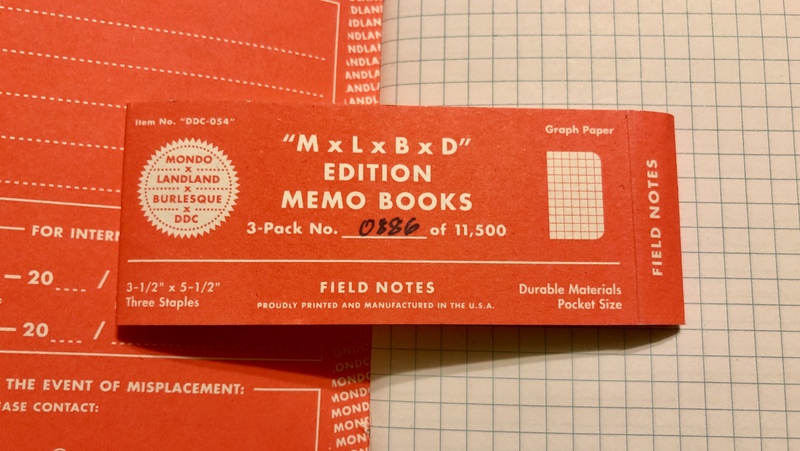 Mondo, Landland, and Draplin Design Co. got together again, this time inviting Burlesque of North America along for the ride, to create the MxLxBxD Edition Field Notes. Although Dead Prints Field Notes were created from each company’s leftover scraps, which made for designs that varied wildly depending on where you bought them, the MxLxBxD Field Notes was more of a group effort to create a single product. According to the Field Notes website, the image files for the cover design were passed from company to company (a total of 84 times) with new elements being continually added. The end result is a bunch of notebooks that look like a heavily graffitied wall. 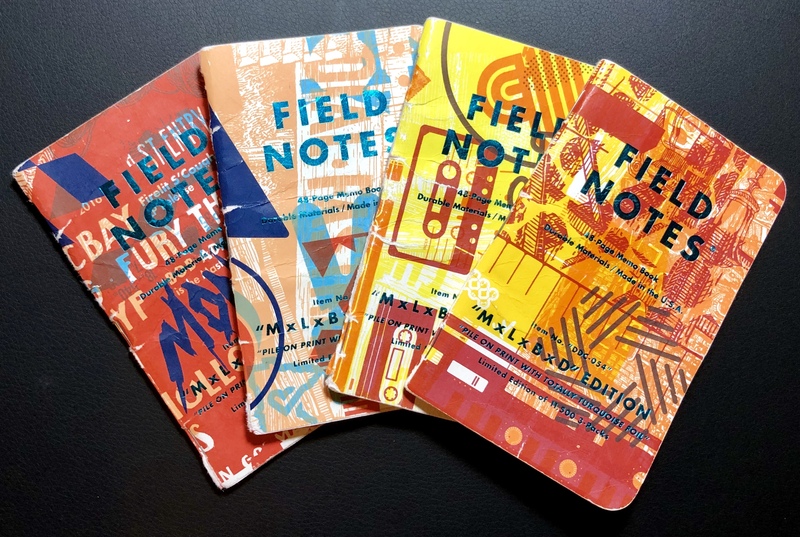 Other specs of note: the Field Notes logo (and all the cover text) are printed with turquoise foil press, and the notebooks are the standard 5.5” x 3.5” pocked size. Inside, you get turquoise grid ruling on 50# white paper. A total of 11,500 3-packs were made (as apposed to the measly 3,000 made for the Dead Prints edition), and some are still available. As of this writing, you can purchase them directly from here, here and here. Though these books aren’t as unique as the Dead Prints Edition, I like their loud and creative look. If you use Field Notes and are a fan of one or more of these companies, it’s worth grabbing a pack or two as long as they’re still available. But, of course, if these companies ever team up again, I’m sure whatever they come up with will be just as cool. For more info and good pictures, check out the write-up on the MxLxBxD Edition at Three Staples. If you like these, they remind me a lot of the Two Rivers Edition. Though, those aren’t so easy to get hold of these days.